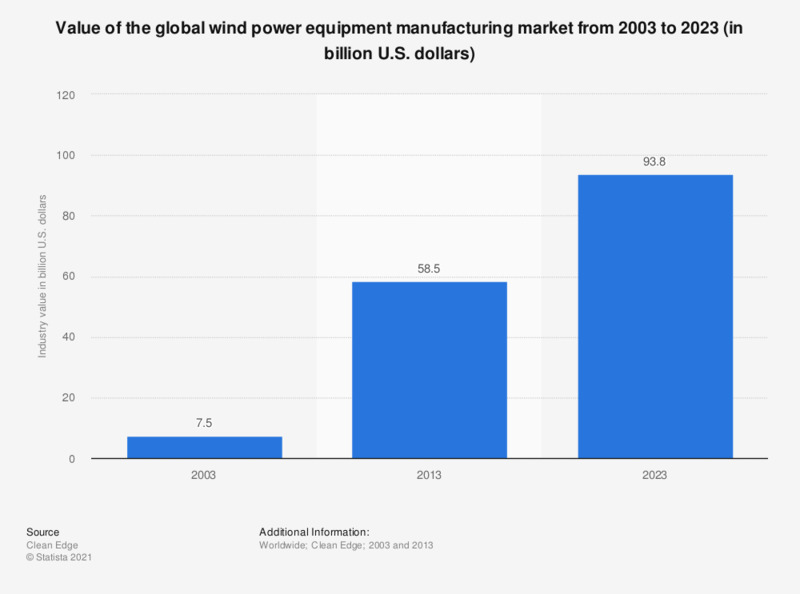 This statistic represents the value of the global wind power equipment manufacturing market in 2003 and 2013, plus a projection for 2023. The global wind power equipment manufacturing market is estimated to reach a value of around 94 billion U.S. dollars by 2023. The figure for 2023 is a projection.